Did Indian agents provocateurs attack army base at Uri, Kashmir? Perhaps I should apologize to Kashmiri activists for skepticism when they suggested the attack on the army base at Uri was a provocation by Indian agents provocateurs. I don’t have any more information but it is the most likely explanation, especially given the war-mongering against Pakistan which has ensued. More importantly, if anyone in the world knows about set-ups & false encounters, it would be Kashmiris whose sons are so often set up for execution. The Jammu Kashmir Coalition of Civil Society (JKCCS) who are handling the legal & political defense of Khurram Parvez have been informed by Indian authorities that he is being detained under the Public Safety Act. That means he can be held on no charges for up to two years because they deem him a threat to public safety–which of course means that his central role in defending human rights in Kashmir is impeding India’s ability to commit human rights & war crimes with impunity. The JKCCS is continuing legal action on his behalf within the court system. It is alarming however that police have informed JKCCS that Khurram is being taken to a prison in Jammu for lodging, which is 300 kilometers away from his family & legal counsel. 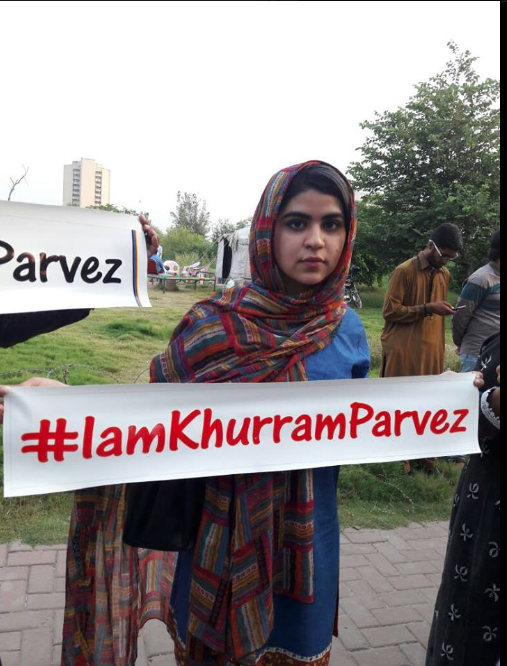 Until he is released unharmed & without condition, “Je suis Khurram Parvez” is the mantra of human rights defenders around the world. Do antiwar & human rights activists really want to be associated with the scurrilous & absolutely shameless campaign against 5-year-old Omran Daqneesh being waged by pro-Russian & pro-Assad activists? Omran was photographed after rescue from a building in Aleppo bombed allegedly by Russian warplanes on August 17th. His 10-year-old brother Ali was playing outside when the airstrikes occurred & he died in hospital on August 20th of his injuries. Pro-Russian & pro-Assad activists claimed from the very beginning, without a moment of investigation, that the image was staged by “jihadists” for propaganda purposes. They made unconfirmed allegations that the photographer is linked to a terrorist group who beheaded a child earlier this year. One leading Assadist writing in TeleSUR calls the photo the “Omran Deception.” What exactly is the nature of the deception? Are children under aerial bombardment in Syria not traumatized as little Omran clearly is? Are there not thousands of children who have died & been injured from bombing attacks in Syria? 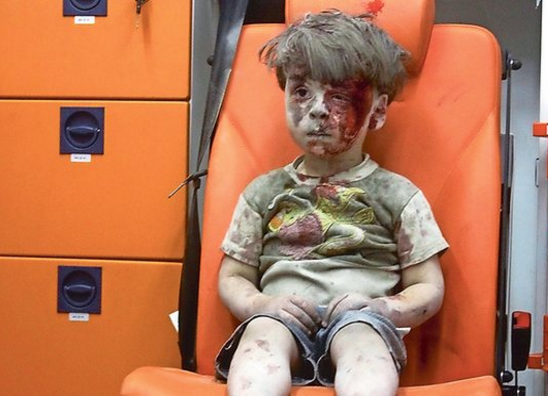 What is it about the photo of little Omran that so enflames Assadists? The propagandists for Assad & Russia are pretending now that they’ve unearthed the facts of this deception by investigation but they are repeating exactly the same lies they told when the photo first was published. What concerns them is not a staged photo. There is no need to stage the carnage of war as it affects small children. There are hundreds of photos of small children, elderly, injured being pulled from cement rubble by rescuers–as anyone who reads a wide variety of media should know. What concerns them is that Syrian & Russian bombing of civilians might be exposed by this photo of little Omran. If they can’t blame the bombing on the US or jihadists, then they have to create a campaign to discredit a small boy who is the victim of Russian & Syrian bombing of civilians. When trying to decide where justice stands in Syria, one should pay close attention to the methods used to prove a political analysis. The nationalist response to the terrorist attack on the Indian army base in Uri, Kashmir is something to behold. The soldiers killed are being hailed as martyrs & bravehearts; there are war-mongering calls for military retaliation against Pakistan; foreign ambassadors in India are condemning the attacks; there are rallies & processions which western media is dutifully reporting as if they were a groundswell of nationalist pride. Terrorism is a monstrous dead-end political strategy but the nationalist howling over this incident isn’t worth a single moment of commiseration. Condolences to the families who lost their sons as part of a violent terrorist occupation. Those soldiers probably went to Kashmir for the same reasons kids in the US sign up for US wars of occupation: misguided patriotism, stinking politics, or employment in a bad economy. They pay a big price & no antiwar activist denounces them instead of the government which lied & deployed them. The alligator tears of nationalists don’t mean squat when none of those parading & condemning & war-mongering have uttered a peep of protest against the occupation of Kashmir, denounced the human rights crimes committed by Indian soldiers, or offered condolences to the families of those killed, blinded, disfigured, disabled by the occupying soldiers. End the occupation. Bring the 700,000 soldiers home. Self-determination for Kashmir. The Indian military occupation of Kashmir is governed by two so-called laws. The first is the Armed Forces Special Powers Act (AFSPA) enacted in 1958, which is regrettably modeled on a 1942 British colonial law to repress the Quit India Movement led by Gandhi. Since 1958, India has used it against dissent in several of its own states & began to apply it in Kashmir in 1990. Basically, the law renders impunity to the Indian military for human rights crimes by its personnel–an impunity the military takes full advantage of. The US has wrangled similar agreements from Iraq, Afghanistan, & other countries it occupies to protect its personnel from prosecution for the unspeakable war crimes they have committed. The second so-called law employed by the occupying army in Kashmir is the Public Safety Act (PSA) in force since 1978. Under PSA, the Indian army can arrest & jail a person without trial or legal counsel for up to two years on the mere suspicion that they might ‘disrupt law & order’ in Kashmir. It is administrative detention powers exactly like those used by Israel against Palestinians, including children. Israel has given itself authority to extend the time of detention indefinitely & it is almost certain that India pays no heed to the two year limit. In Kashmir, it was estimated a few years ago that over 27,000 people had been arrested & jailed since 1978 under the PSA, including peaceful protesters, political activists, lawyers, journalists. 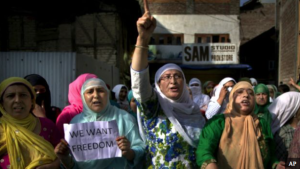 During this current military offensive, it is reported at least 140 Kashmiris have been arrested under the PSA but it is likely hundreds more will be before this murderous siege has ended. 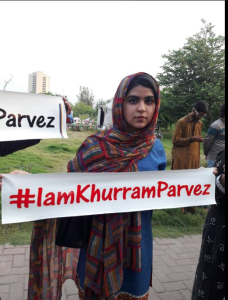 There are reports that Khurram Parvez is being held under the PSA but this is not confirmed by the Jammu Kashmir Coalition of Civil Society (JKCCS) which is centrally involved in his defense. He is of course being held in administrative detention without due process. Photo is women protesters in Kashmir disrupting law & order according to the PSA. The social & cultural disruptions of military occupation weigh heaviest on those who lose loved ones in the violence against them. That falls particularly heavy on children who are orphaned. 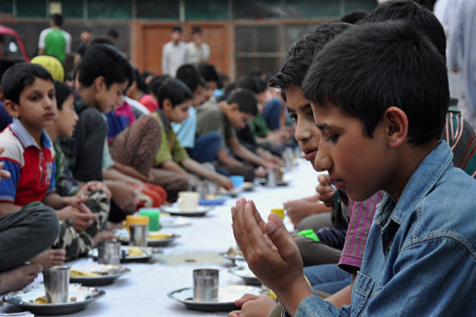 This article by Mudasir Firdosi, written in August 2015, points out that in 1986, Kashmir had only one orphanage but there are now at least 700 in a relatively small country. It is estimated that over 37-percent of them lost one or both parents in the occupation violence.